No matter if your special event is a wedding, corporate gather, school function, fundraising event, or something else, Endgrain is proud to offer catering services. Our baristas are there to help caffeinate your event no matter what the case may be. Whether you need our ice-cold, bubbly Nitro Cold Brew or specialty drinks like lattes and cappucinos, the Endgrain team are able to make your event a memorable one. Our catering menus can be as simple or complex as you'd like: espresso drinks (including lattes, cappucinos, Americanos), Cold Brew, batch brews, Nitro, and more. 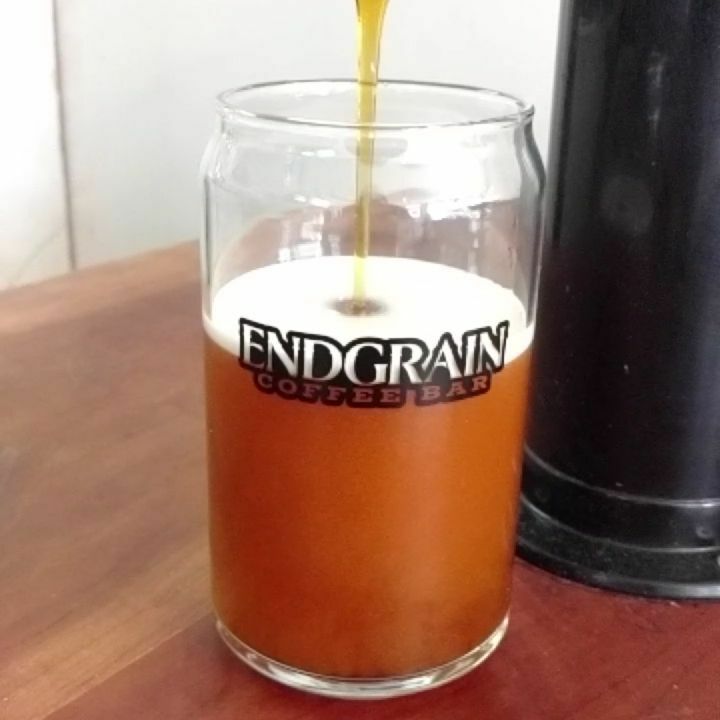 Endgrain baristas are available for on-site service or catered items (such as large batch brewed coffee and kegged cold brew) can be provided ready-to-serve. For your convenience, we have provided some information about a few of our popular options down below. We understand that every event is different and your needs are unique, so feel free to contact us to see how we accomodate your requests. For your convenience, we are available to have consultations over the phone or via email; you're welcome to stop by in-person to get a feel for the Endgrain style, too. Lattes, Cappucinos, Americanos, Affogatos, oh my! One of our more popular options for on-site service, full service espresso drinks are a sure fire way to spice up any event. Whether you need to wake up that corporate event, get your students energized and excited, or kick off the wedding reception with an extra shot o' joe, our professional baristas will be ready to make any number of espresso drinks for your guests. The sweeter brother of iced coffee, cold brewed coffee never touches hot water which means that it's not bitter. The cold brewing process imbues rich, chocolatey notes and makes for a refreshing treat for your guests. Even if your guests take some coffee with their cup of cream, they'll be able to drink our sweet cold brew black. It looks like Guiness, tastes like goodness. Our Nitro Cold Brewed coffee takes cold brew to the next level by being pressured with nitrogen for over twenty-four hours, giving it a bubbly, creamy taste. You'll have guests lining up for more after they try their first glass of our Nitro Cold Brewed coffee. They call classics 'classic' for a reason: because there's nothing wrong with 'em. Batch brewed coffee is always a crowd pleaser and with our selection of locally roasted beans from which to choose, you can bet on guests begging for more.